Iranian President says the Iranian people will not give in to U.S. pressure as Iran faces economic sanctions. 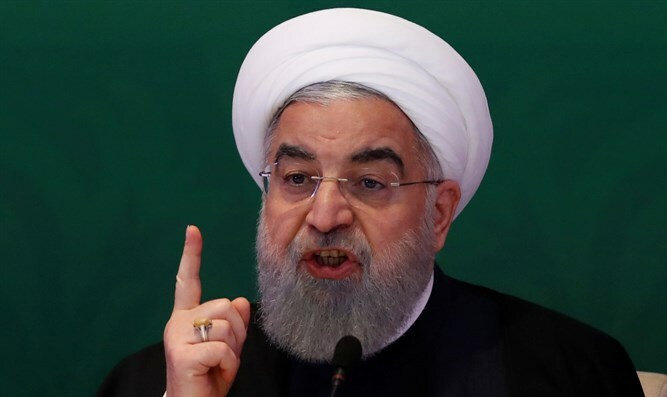 Iranian President Hassan Rouhani declared on Wednesday that the Iranian people will not give in to U.S. pressure. His comments, quoted by Reuters, come as the Islamic Republic faces the reimposition of economic sanctions by Washington after President Donald Trump withdrew the United States from the deal. “The Iranian people will never surrender in the face of the plots and pressure of the American government,” Rouhani said. Rouhani won reelection last year largely on a promise that the economy would improve because of the 2015 agreement with major powers under which some sanctions were lifted in exchange for curbs on Iran’s nuclear program. U.S. President Donald Trump’s decision to withdraw from the deal threatens to fatally undermine the accord, though the remaining signatories - Russia, China, Britain, France and Germany - are scrambling to preserve it. Rouhani warned world powers last week that it was impossible for Tehran to stay in the nuclear deal if it cannot benefit from it after the U.S. withdrawal. “If Iran cannot benefit from the (nuclear) deal, then it’s practically impossible to stay in the accord,” Rouhani told French President Emmanuel Macron. On Tuesday, the head of Iran’s Atomic Energy Organization, Ali Akbar Salehi, said that Europe’s proposals to salvage the nuclear deal were not satisfying for Tehran.